There can be no doubt that the smart phone is easily one of the most integral parts of a person’s life. 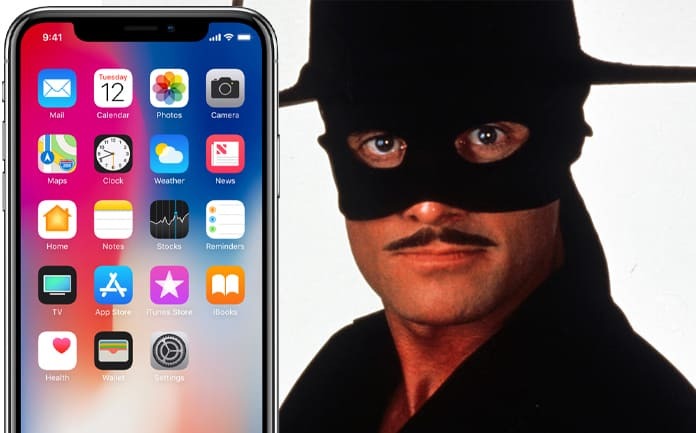 This includes not only adults but children as well, which is why concerned parents along with employers and other individuals decide to use spy apps for iPhone in order to keep track of the surfing and interactions of family members, employees or other peers. Although the time may vary from app to app, these will let you extract information as you want by tapping into their iPhone. Check out our list and choose the best Spy app for iPhone. Keep in mind that a targeted iPhone might need to go through the jailbreak process before many of these apps can be installed. 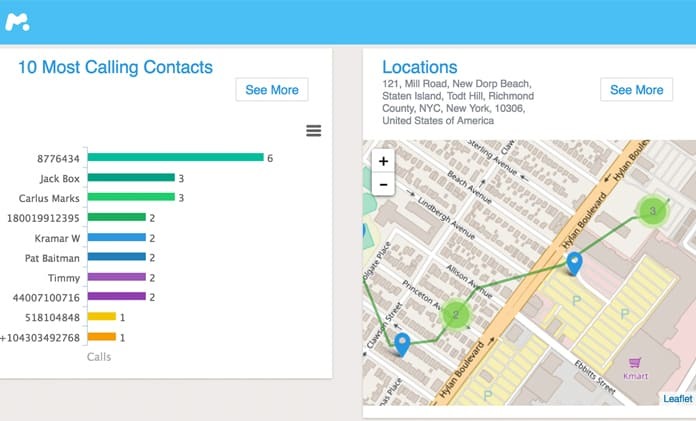 This software will allow you to track any smartphone or tablet. After the app is functional, it will begin recording all activities on the target device and it even uploads the collected data into your online account for monitoring and controlling purposes. For the iPhones (or any other iOS devices), it comes with an additional feature at no extra cost – which means it will be possible to use the app without the device being jailbroken. However, this would be in the case that you have a valid AppleID and while this is good news it also means the features are limited to tracking call logs, SMS, contacts, browser history, Notes and Events. Pros: It can be used on non-jailbroken iPhone, and is extremely reliable with great features and an interactive interface. Cons: It is expensive and only has limited features on a non-jailbroken iPhone. 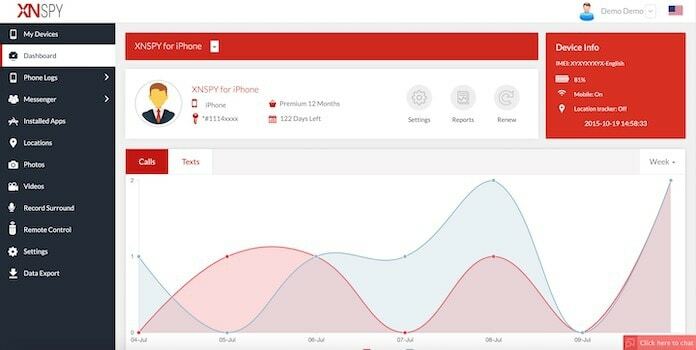 This is a web based iPhone and Android phone spy tool which allows parents to watch over their kids and business owners to monitor their employees during worktime. Once it is used to spy on an iPhone or iPad it doesn’t necessary for the target device to be jailbroken or to install any app. After creating a FoneMonitor account just verify the Apple ID connected to the target phone which will allow you to track call logs, SMS and iMessages, locations, bookmarks, browser history, WhatsApp messages, contacts, photos and videos, apps, reminders, voice memos and calendar activities. Cons: Cannot be used to monitor Facebook messenger. In case you want an app that will allow you to record videos without anyone noticing then this is the app for you. Launching this will allow you to record a video up to an hour long while you pretend to use your phone for other purposes. Pros: No jailbreaking required and has great low light recording and super stealth. Cons: Cannot save videos in the gallery. The Spymaster Pro is a renowned monitoring software on the market which helps the user to safeguard children, loved ones and business partners in a secure manner. It is quite easy to use and only requires that you register the account, install the software and then enjoy it. 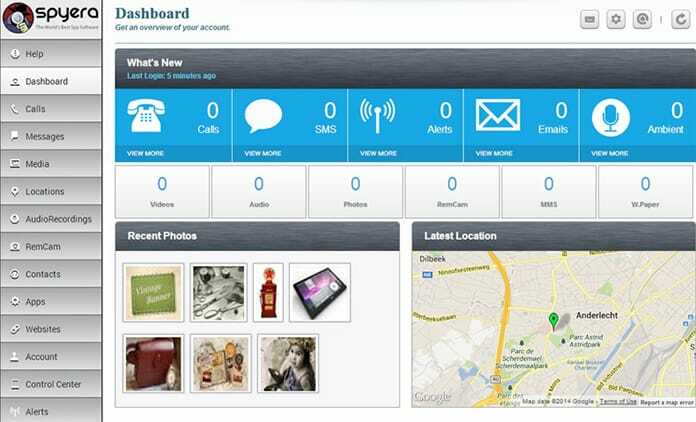 It is possible to track phones, GPS, SMS, book addresses, web history, WhatsApp, contacts, multimedia and much more! Price: $49.99 every 3 months. Pros: It can track a variety of content. This is one of the most highly recommended iPhone tracking apps since it has all the necessary spy features, such as allowing you to view messages, call logs and emails and even track where they are and also have remote access to their camera. The best part, however, is the ability to uninstall the app remotely when required. Pros: One time purchase (no monthly fees) and can be uninstalled remotely. This is great for parents who want to keep an eye on their kids. With this app installed on both the parents’ and the kids’ phones up to seven family members can be registered simultaneously, notifications will be sent to the parents whenever the child strays outside the predefined ‘safe’ zone. It even tracks the location of the phone every 15 minutes. Pros: No need to jailbreak, affordable and useful protection against abduction. Cons: Cannot track other data. In case you only need to keep track of only one phone just try out this app, it can be used on two phones free of cost. If it is installed in an iPhone you don’t need to launch the app to get it working, it can locate the other person’s location within 24 hours. 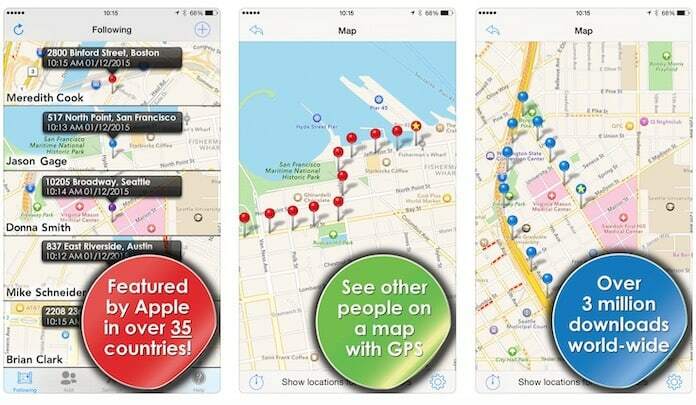 It is possible to program the app to map locations every two to 60 minutes. Pros: The iPhone doesn’t require a jailbreak and is easy to navigate. Cons: Can take a long time to detect the location of the phone and can drain the battery. It will be possible for you to spy as the app will record all incoming and outgoing data, from emails to SMS logs and Facebook posts to Skype conversations. It even has a tracker feature which allows real time tracking and it even sends alerts upon change in the SIM card. This will allow you to not only go through all previous activites on the target iPhone but even observe it on a real time basis using the app. It can be used stealthily so the chance of being caught is very low. It can also record incoming and outgoing instant message chats. Pros: The cheapest and easing to use online option. Cons: Jailbreak necessary on the target iPhone and drains the battery quickly. This is a mobile monitoring app which is compatible with Android and iOS devices and also offers great features to price correlation. Many of its features work in real time which means the users get access to deleted data off a monitored device. 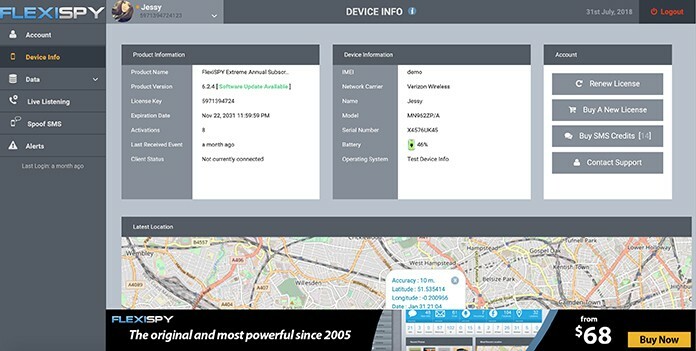 It can also monitor phone logs, track social media, access location history and even download all phone logs to an offsite location. These are the top 10 spy apps for iPhone in our opinion. Did we miss out on anything? Feel free to leave comments.